We get it 100% first time round – no matter what. South-Africa with that of overhauling Gearboxes. side of the Company,assisted by daughters, Jackie and Chantelle. Company currently employs 27 (twenty seven) staff overall today. 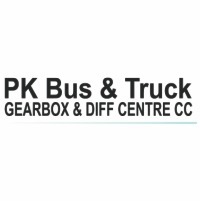 This attention to the very smallest detail and addressing our clients exact needs, is what PK Bus and Truck strive for – which has also seen the Company grow to what it is today.